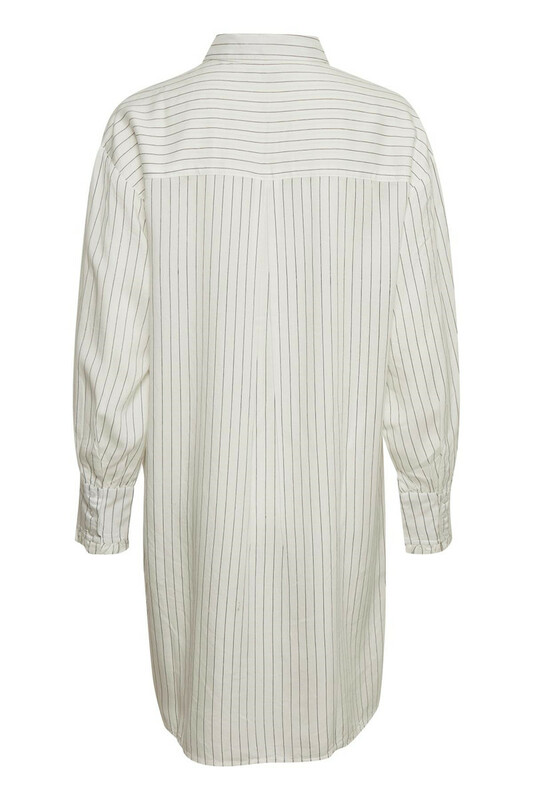 Cream 10604151 Nee Shirt. 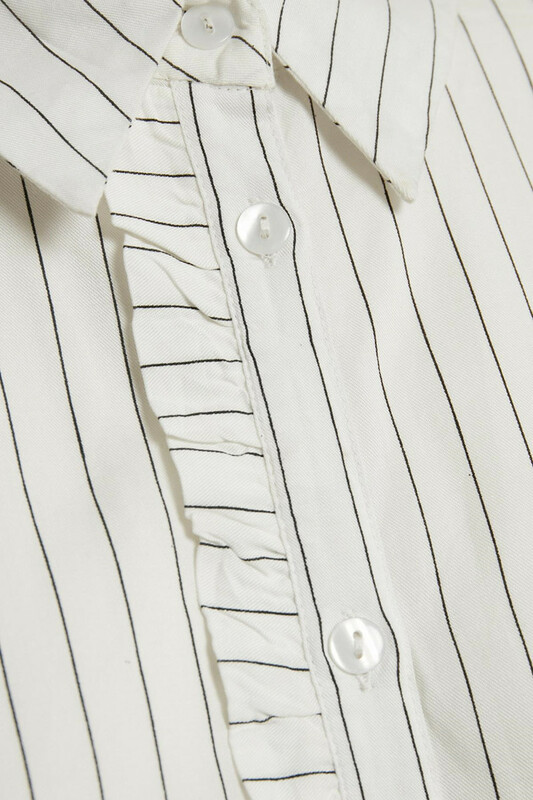 Sporty, long-sleeved, pin-striped shirt with placket concealed by an elegant ruffle detail which hides the buttons. 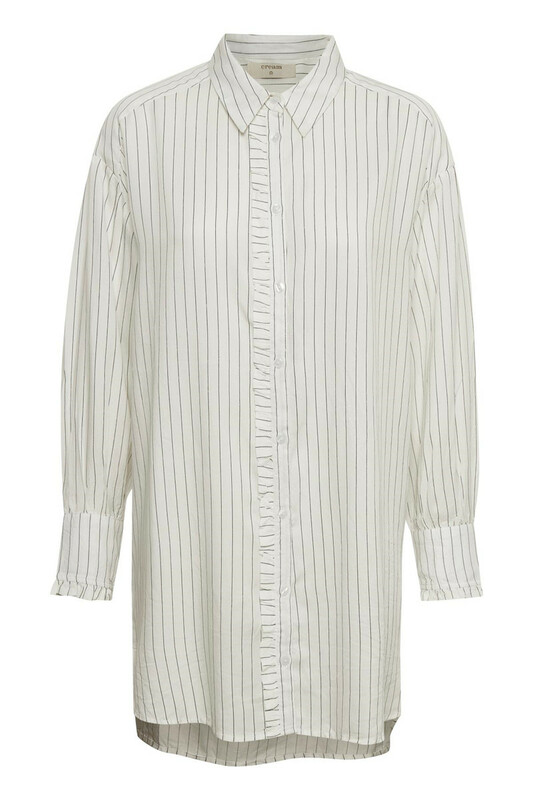 The shirt can be worn as shown in the picture, open like a kimono or with a belt and skinny jeans.